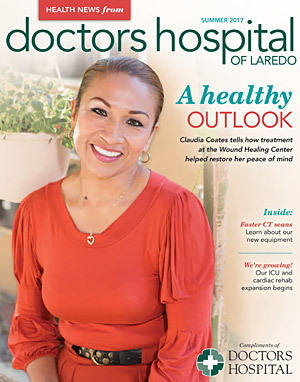 Doctors Hospital of Laredo now offers high-resolution, low-radiation-dose technology for patients needing a computed tomography or CT scan. For Claudia Coates, coping with a wound that could not be seen was affecting her physically and emotionally. She was experiencing pain regularly and was nervous and afraid about what was happening. In a groundbreaking ceremony attended by local dignitaries, physicians, hospital representatives and other community members, Doctors Hospital of Laredo recently kicked off a $13 million-plus project to add eight ICU beds and construct 4,000 square feet for a cardiac rehabilitation unit.